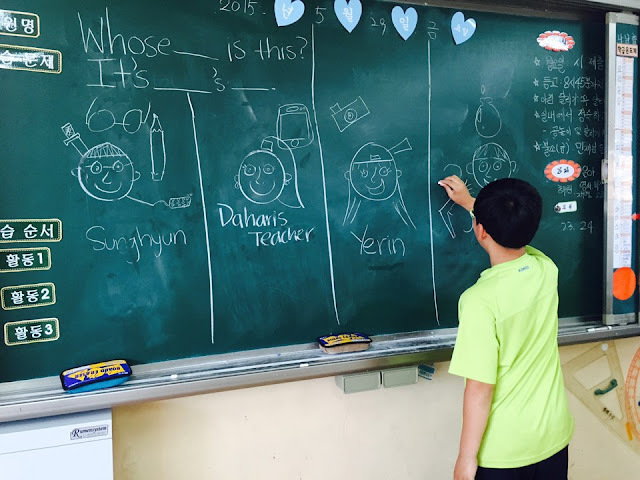 My 5th graders are currently on the topic of "Whose is it?" and today we had a class where I wanted to focus on speaking and learning the phrases as we've only just started the topic. So I wrote these (above) on the board, and the game was simple. Whoever is drawing has the marker and asks "Whose _________ is it?" 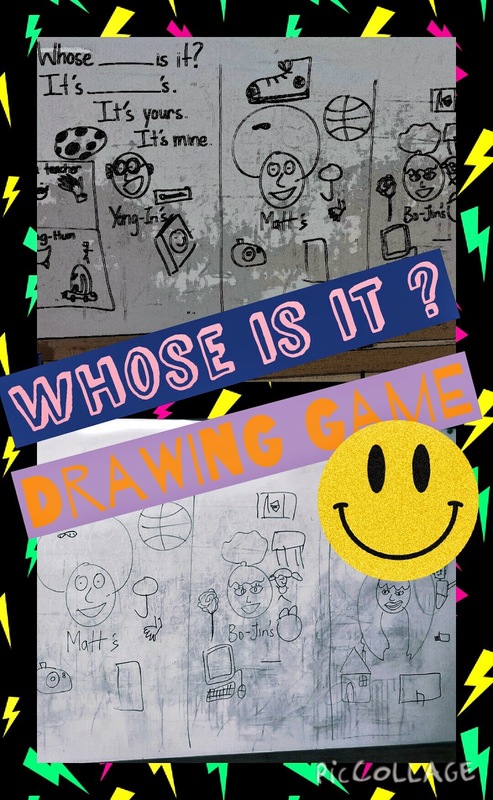 they can fill that blank with any object they know - I try to, when it's my turn, or if the students are strapped for an idea, tell them one of the words we are learning in the topic's vocabulary list such as : camera, umbrella, ball, pencil case, pen, etc. 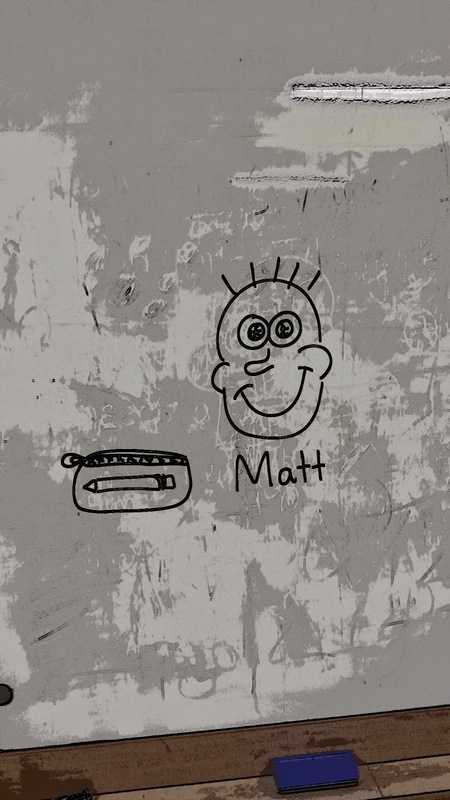 The other player replies (like Snoopy) "It's Matt's pencil case." What's on the board? Well, before I start all this I draw and make sections on the board for different 'people'. 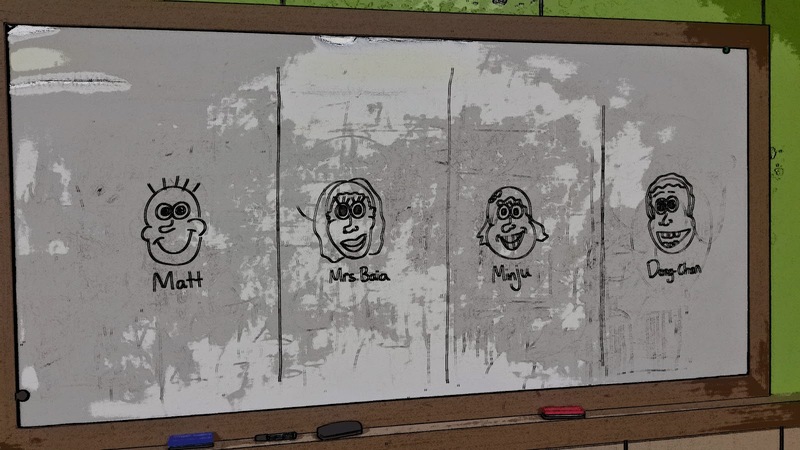 You can choose to write the names of individuals in your class or make up names/ use cartoons, etc. So here's a sample board: (made up names and me). So, each person has a section where the drawer can draw their objects - to practice the "whose" possessive quality. 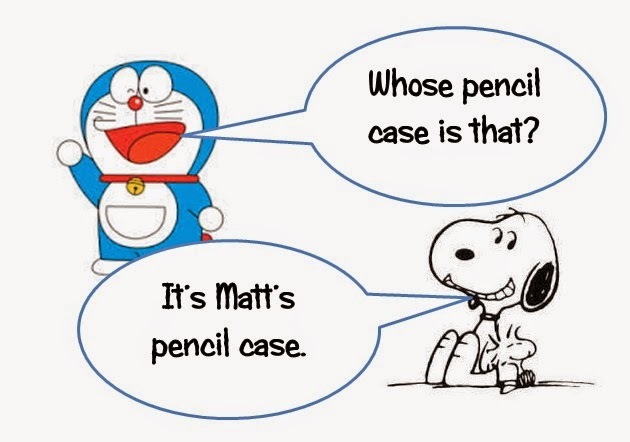 So remember Doraemon and Snoopy? (Imagine them as your two student volunteers). The students got really into it because they got to draw and the speaking became easy and repetitive enough (but not boring!) 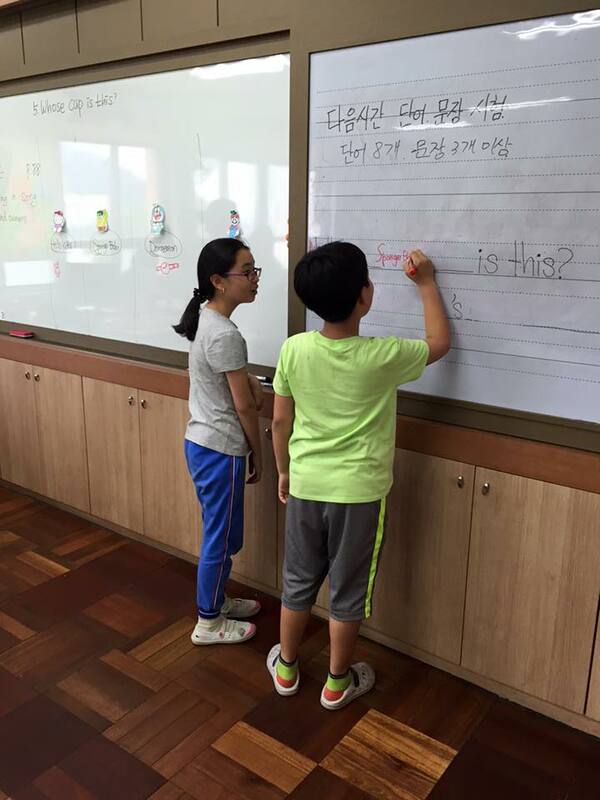 that they learnt how to say the phrases really well -and understand them. After playing a few rounds our boards and vocabulary were plentiful. And then I changed it up a bit. I told my students they had the option to say "It's mine." or "It's yours." 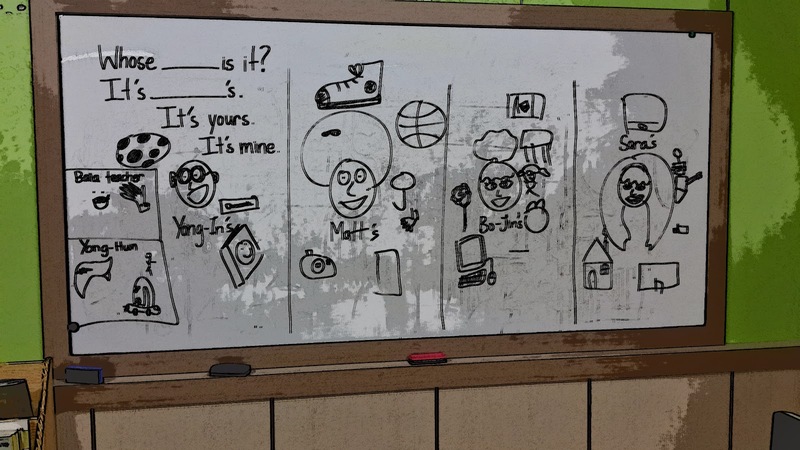 So in this way, when they say "It's mine" they had to draw a box on the board and write their name, and draw their object within it. This was especially easy as I did this with a small class. I suggest if you have a large class you only have a select number of students that you play the "It's mine" and "It's yours" part with. This was my board when I played with my one student at my small school - I only have 1 kid in 5th grade. 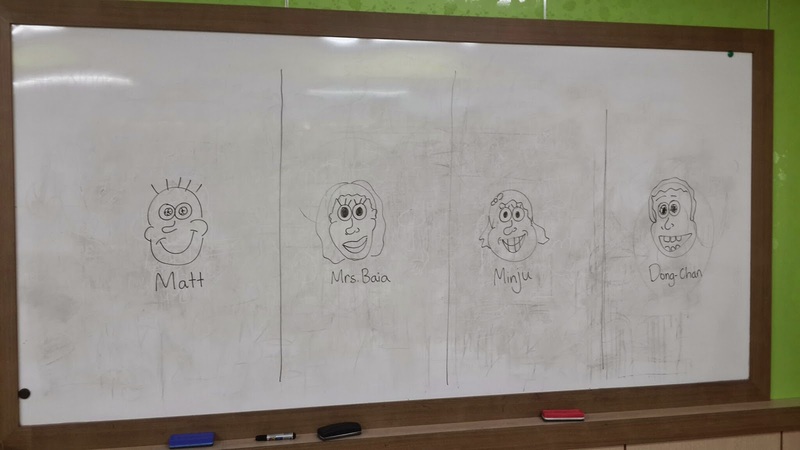 However, I plan to play this with a larger class and simply have student volunteers to be the drawers rather than every student - although, if we have time I'll try to get everyone to draw. As you can see on the far left there are two small boxes. 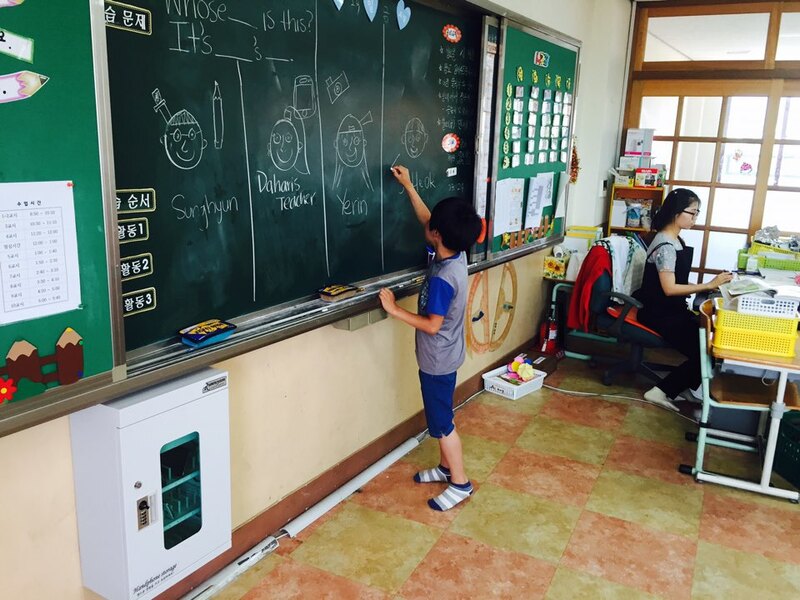 One is labelled with my name "Baia teacher" or Mrs.Baia (depends on grade lol) and then the other box has my student's name 'Yong-Hun'. This was used when we played the "It's mine. "/"It's yours" part. By the end of the class the students should be able to make the Whose is it ? questions easily and say who it belongs to, etc. Oh and before I forget, you can download my "Whose is it? comic book" to do for the project time in your class or for a simple writing / homework activity. 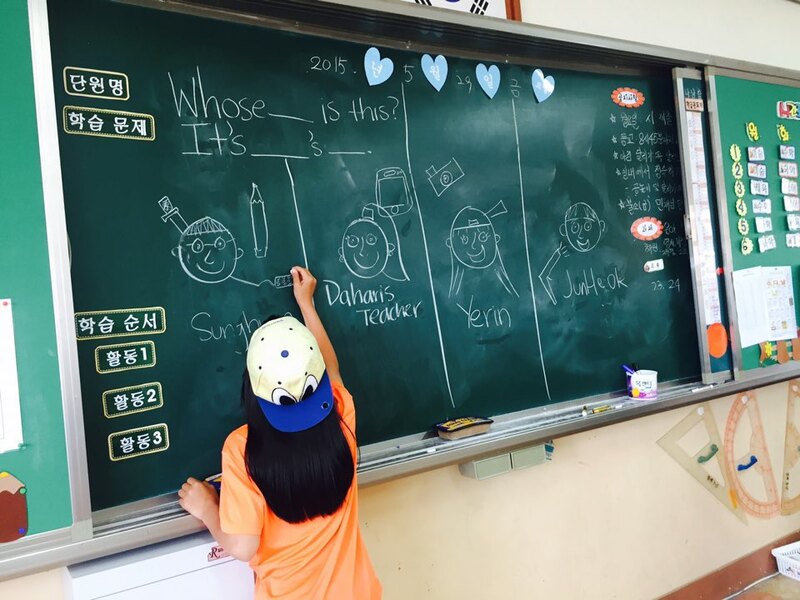 A friend and fellow teacher in Korea said she used this activity in her class recently and it went really well! I'm always pleased to hear of other teachers using my ideas - and sending me pictures! Another teacher also sent me a picture! 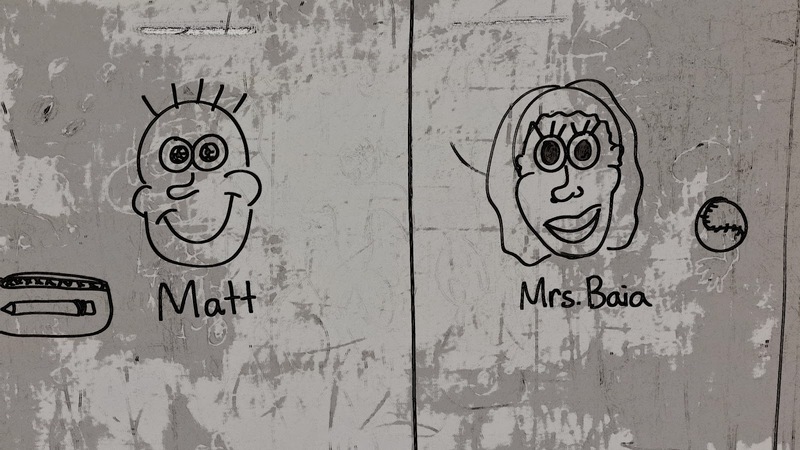 She spiced it up by printing out cartoon characters and sticking them on the board. :) Looks fun! Thank You Sheena Teacher!